Established in 2009, Ballpark Business is an online news and information resource for baseball industry professionals, team owners, vendors and suppliers, career seekers, and anyone interested in the business side of baseball franchise operations. News headlines, original articles, and current content will be enhanced with added features and resources as we grow and build momentum. The scope provided by BBiz includes franchise acquisition, stadium development, branding and marketing, fun and entertainment, concessions, finances and budgeting, field and turf matters, and general day-to-day operations. In short, if it impacts a team’s success at the gate and overall financial performance, we want to hear about it, share it, and talk about it. Alan D. Poff is the founder and editor of Ballpark Business. His passion for ballparks and the business of baseball began in 1995, shortly after the modern day independent leagues launched in 1993. During the succeeding years, he developed a keen understanding of the “business” of America’s pastime, while closely following, studying, and commenting on the many successes and failures of teams and leagues at the minor league, independent professional, and summer collegiate levels. 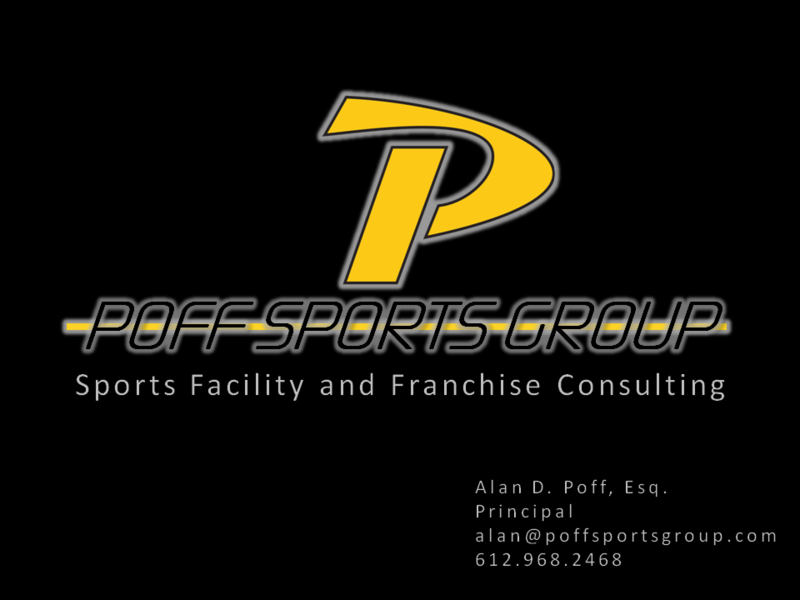 Alan is founder and principal of Poff Sports Group LLC, a sports facility and franchise consulting firm. He is also an avid ballpark collector who has visited and photographed over 160 baseball stadiums across North America. Alan’s background is primarily government and politics. He has worked for four Members of Congress on Capitol Hill in Washington, D.C., including former U.S. Senator Kay Bailey Hutchison (R-TX), and is currently the chief government relations professional for a multibillion-dollar food company. He is a licensed attorney and a graduate of the University of Minnesota Law School and Boise State University. He resides in Minnesota with his wife of 31 years and two children. Contact: alan@ballparkbiz.com.